One of my best friends is getting married in a little over a month. She just moved out to Boston. For her bridal shower, we had to get a little creative and find gifts with one of the letters from her name (they were assigned). Naturally, I received the letter "Z." 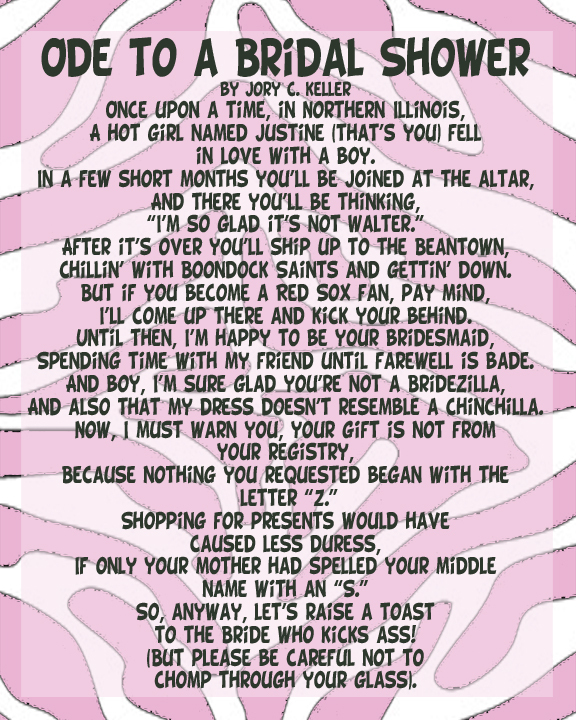 I went with a zebra theme (which matched the animal print theme of the Bachelorette Party, so...win) and wrote her a poem instead of getting a card. I thought I'd share it with y'all. Disclaimer: this poem includes inside jokes.